Check out the link for more information and to register. Please share with friends who may be interested. 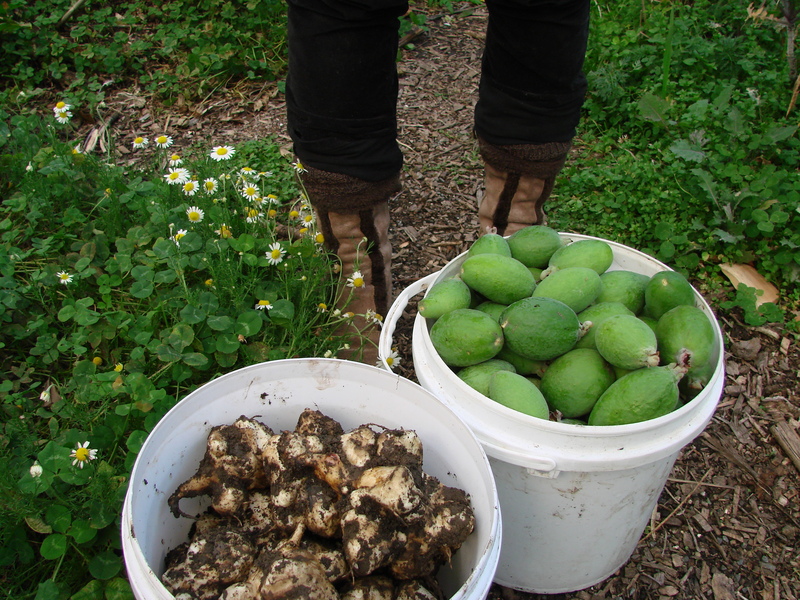 Jerusalem artichokes from one plant plus today’s feijoa harvest. 5 x 5 year old Tagan I and II trees have let fly about 40 kg of fruit so far this season, with about the same again still on the trees. 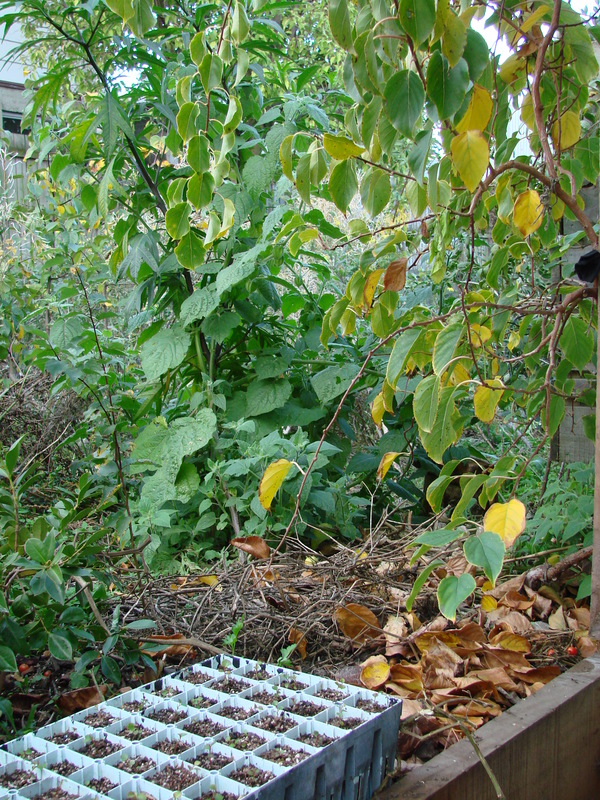 A week or so prior to them falling, I fenced the chickens underneath them to clear up the ground so the fallen (ripe) fruit is easy to spot. Although the chickens ignored the first to ones to fall, I moved them on to greener ground just in case they got a taste. I imagine a week or so on the ground and when the fruit start to get a few insects, they’d get gobbled. After the feijoas, late apples and a few blackberries, we are done with fresh fruit from the garden for six months. Some lives on frozen, dried and fermented, but without a huge surplus we just use the intervening months to get excited about next season. The garden wasn’t originally created with chickens in mind. 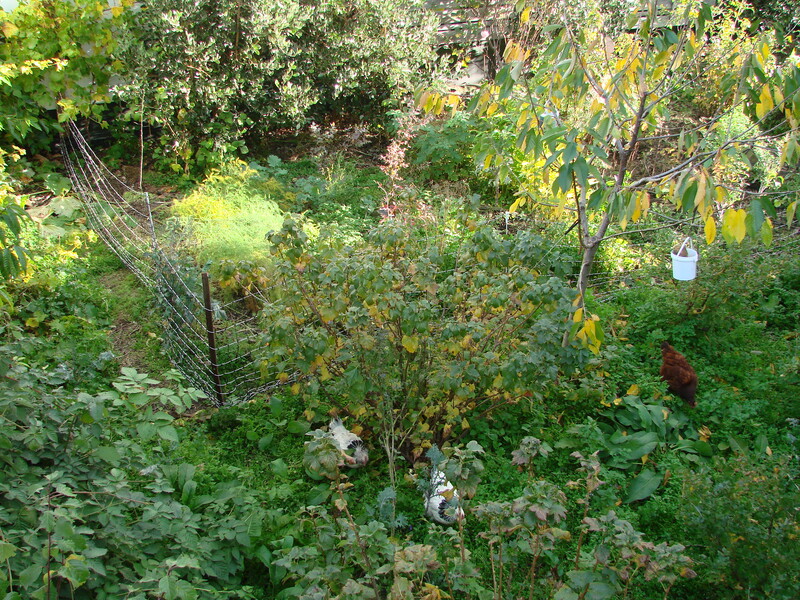 With more recent plantings, however, I have considered how chicken activity and netting patterns can influence the design. 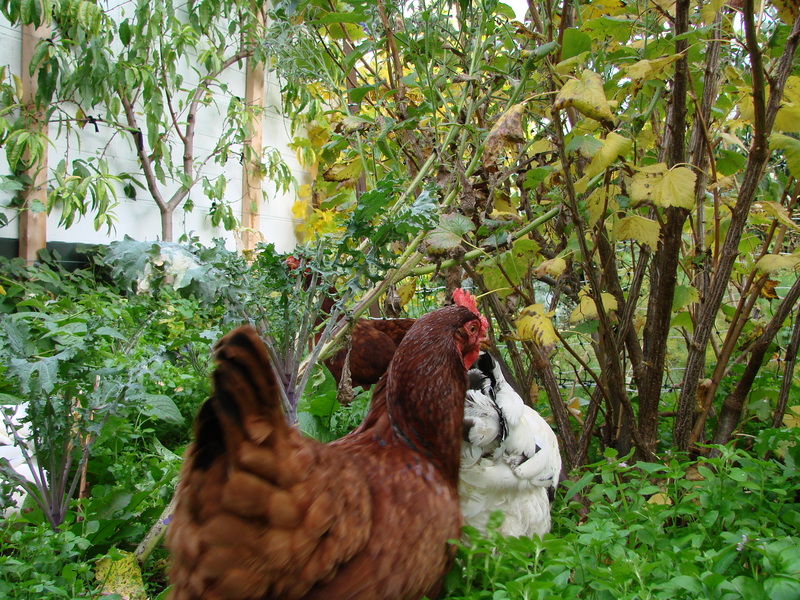 For example, placing berries with a similar ripening time in short rows works well – keep chooks out during fruiting (if they can reach it), and back in at other times periodically to forage/scavenge. Short rows with gaps allows flexibility for the netting to turn corners. This pattern of rows/hedgerows works especially well with rows laid out following contour lines/swales. This allows maximum water infiltration and flat, erosion free pathways/livestock cells. 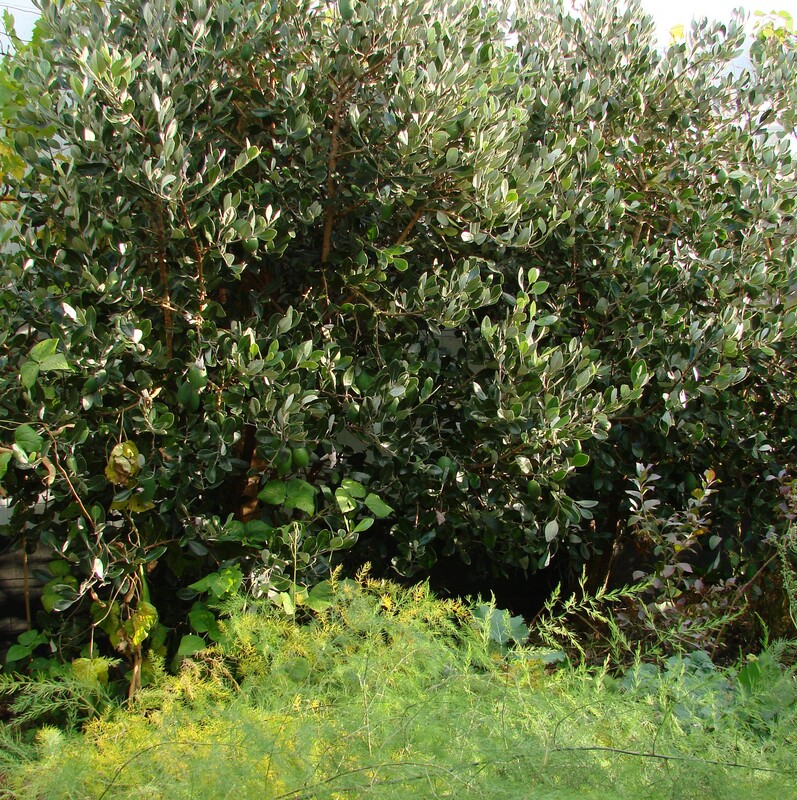 It also allows you to easily concentrate chickens and other animals in narrow bands among your plantings to aid in establishment and maintenance. 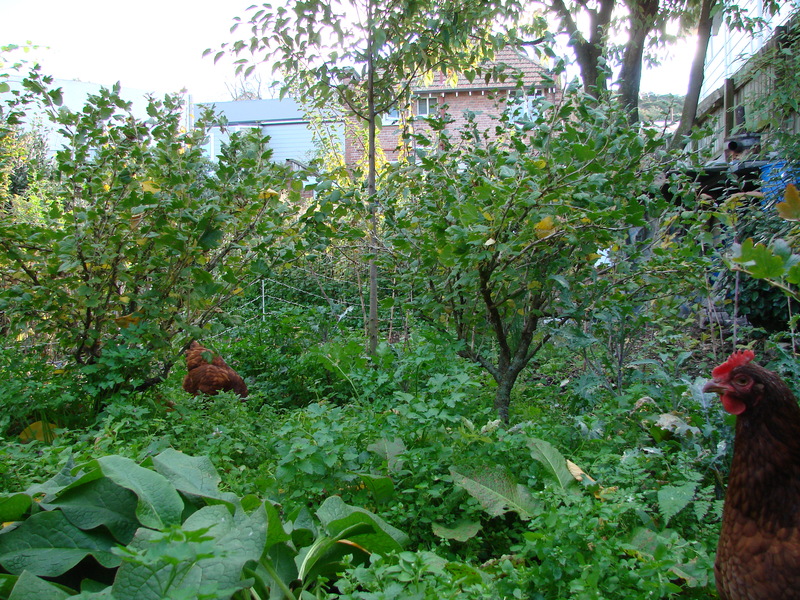 Chooks beneath gooseberries enjoying mostly white clover, chickweed and comfrey. Asparagus in front of feijoas. 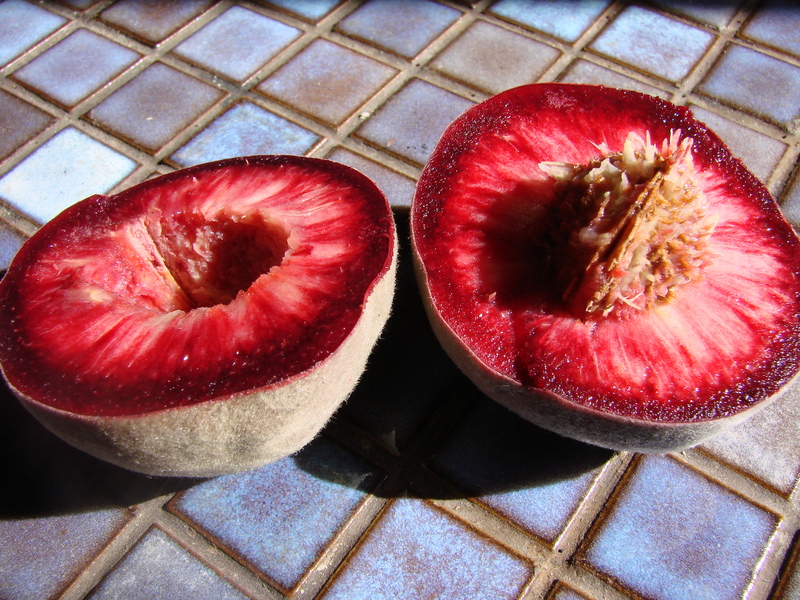 Late April Blackboy peaches. Freestone, peach leaf curl resistant, delicious. 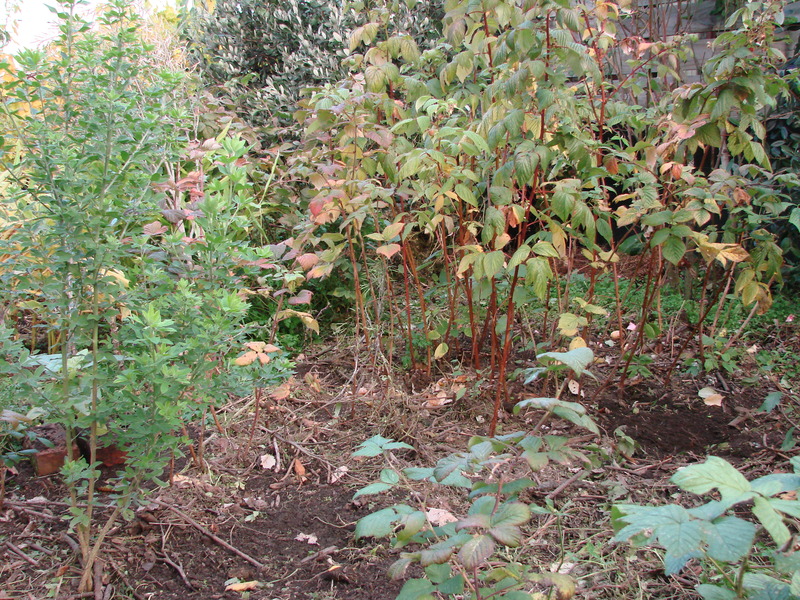 Autumn raspberries, tree medic and young tamarillo immediately after chickens. 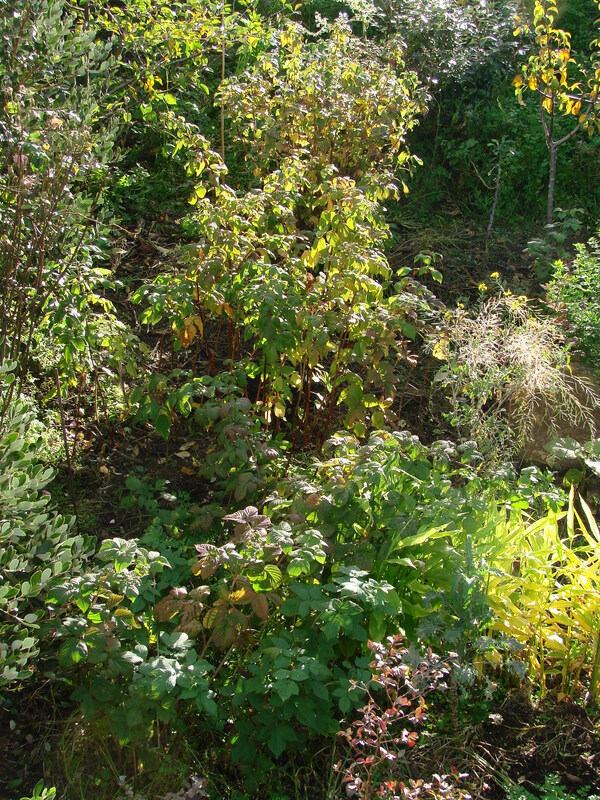 These perennials remain intact (with the aid of two bricks over the young tamarillo’s roots) and the scratched ground provides an opportunity to re-sow another ground cover mix, in this case miners’ lettuce. 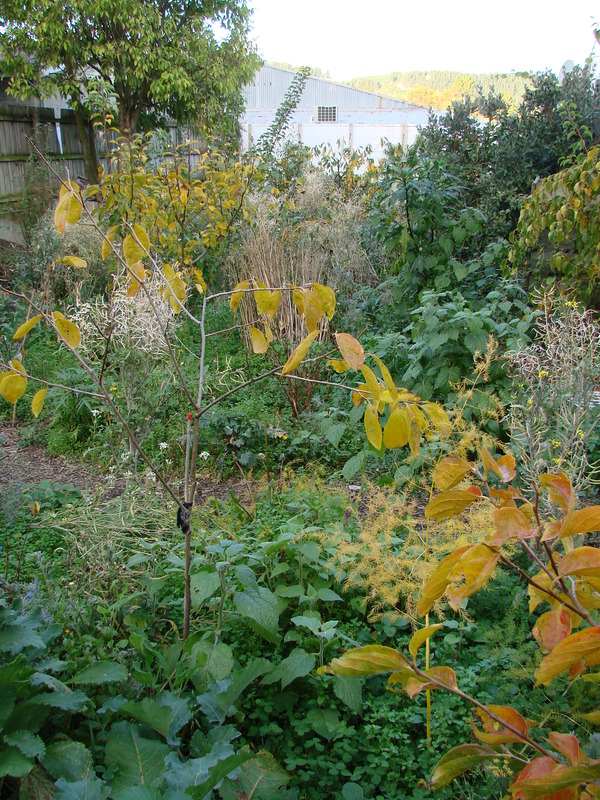 The tree medic is an experiment: to grow with the tamarillo to provide dappled protection from frost and occasional wet Dunedin snow. See Autumn 2013 for more on this. Hardy kiwi vine in the foreground. Cape gooseberry supporting itself on a poroporo behind. I am always on the lookout for plants that work well in combination with each other. We tend to miss a lot of cape gooseberries that get lost on the ground (or I am too lazy to go find them). In this happy accident, the poroporo provides something sturdy for the gooseberry to scramble up (not climbing) off the ground. Both have edible fruits. I’ll see how this duo progresses. 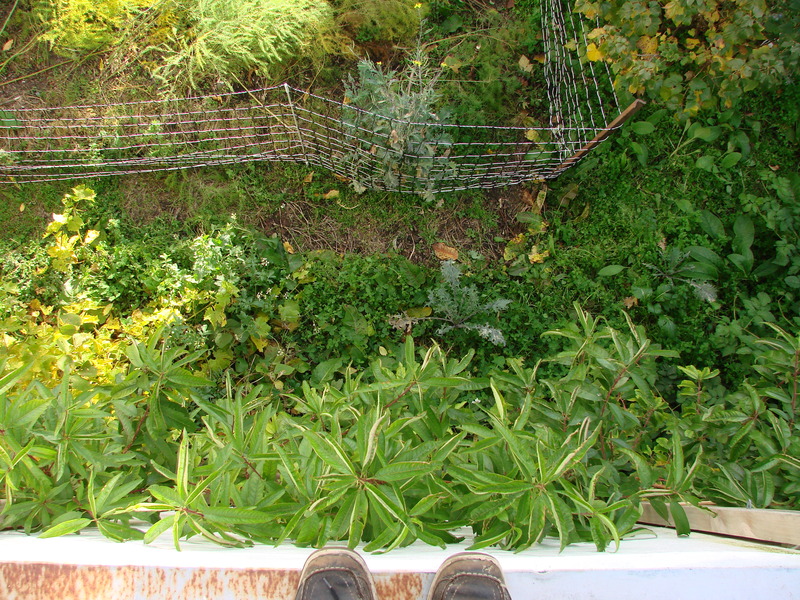 On a larger scale in particular, plants that double as trellis can be really helpful, saving on built infrastructure costs whilst potentially being a crop in themselves. Two young persimmon trees at the top of the garden. One ‘Matsumoto’ fuyu, the other hopefully to be grafted with wood from a botanical garden tree with reportedly delicious fruit.